UP Express opens June 6. With great fanfare, Premier Wynne today rode the UP Express from Union Station through to Terminal 1 at Pearson Airport. The Premier, pronouncing the much discussed train as the ‘up express’ (rather than U.P. ), stated that this is the beginning of a new era in infrastructure investments. She also suggested that public transport becomes widely used if it is a more convenient way to move from one place to another than driving. No doubt many people will sample the new service for the first time out of curiosity but whether the train is viable in the long term is a highly contentious point. Time will tell if our new transit link will be more convenient for Torontonians, airport workers and tourists (and therefore successful) or if it will end up as a commuter rail line with additional stops along the way. The Premier also referred to the doubling of GO train service by 2020 which is part of a $16 Billion Liberal infrastructure spend designed to get people out of their cars and onto public transit. Metrolinx President, Bruce McCuaig claimed that in its first year, the UP Express will result in 1.6 million fewer car trips. Former federal Transport Minister David Collenette who got the ball rolling back in 2000 tagged along for the ride. Sadly, there was no invite for WestonWeb to sample the new line. In its early inception, the train was called Blue 22 and tragically, with the addition of a stop in Weston and three minutes of extra travelling time, nobody in the government could come up with a brief rhyming couplet that ended in twenty-five; hence UP Express. As readers are aware, the stop in Weston was a testament to the political clout of residents who forced the government to offset the negative repercussions of about 150 extra trains through Weston every day. Hence we ended up with a stop along the route, new respect from politicians and a beginning to the end of the decline of Weston. Let’s hope that the same fighting spirit hasn’t left the station as there are fresh battles coming (more on that later). 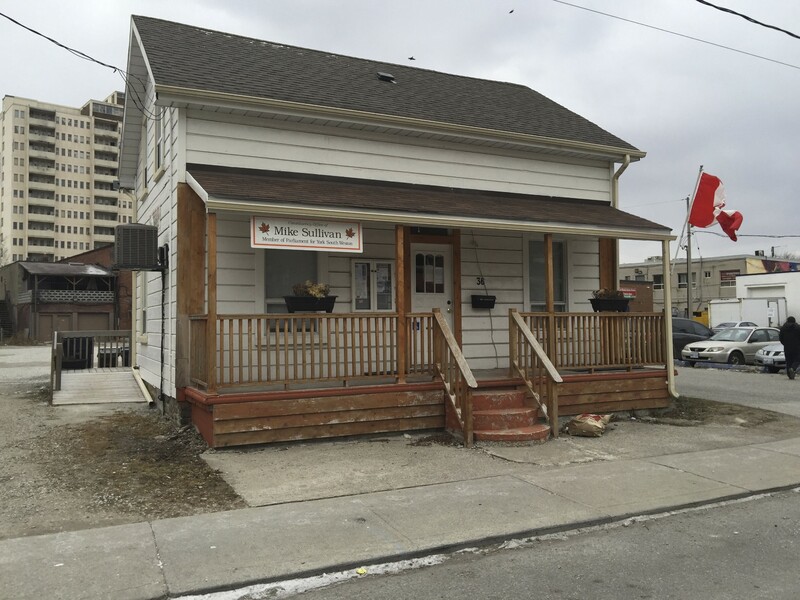 For extra credit, here is an article that extolls the merits of vastly expanding our current (slow and very tentative) link to Kitchener (Incidentally, there is considerable interest among Kitchener residents, some of whom would like to change at Weston onto the UP Express). 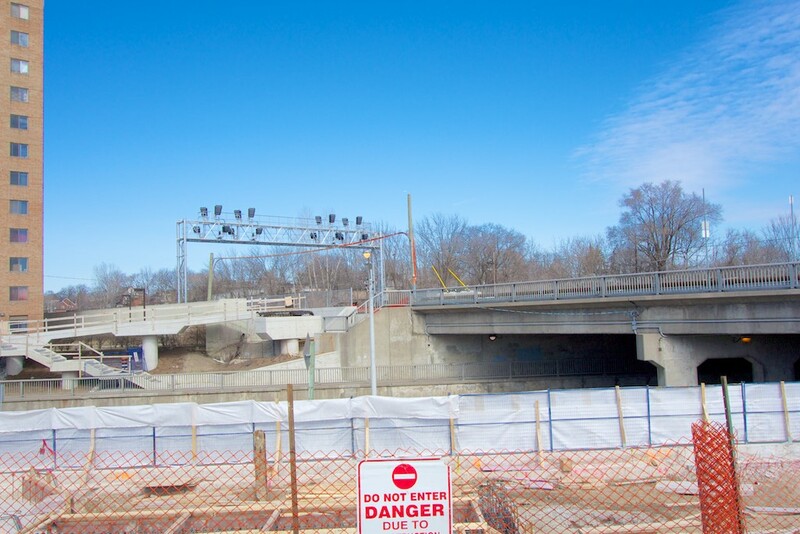 Author Roy MurrayPosted on April 22, 2015 Categories Infrastructure, Metrolinx, News, Opinion, Pearson Airport, Transit, UP ExpressTags Bruce McCuaig, David Collenette, Kitchener, Premier Wynne, Toronto, UP Express, weston1 Comment on UP Express opens June 6. The UP Express is close to becoming a reality. Beginning today, Monday, March 30, Metrolinx will be testing its service at 15 minute intervals between 8:00 pm and 3:00 am, moving to daytime towards the end of April. 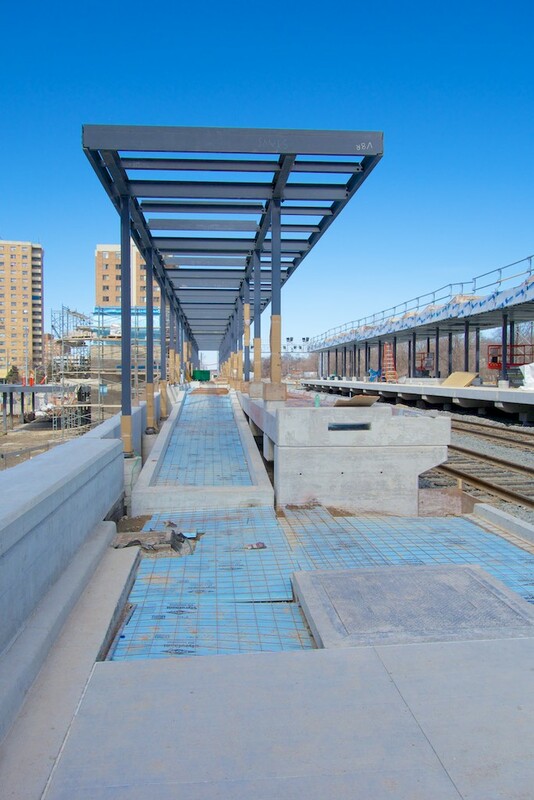 In early April, a footbridge across Lawrence just east of Weston Road will be installed to steer passengers safely to the train platform for UP Express and GO Train users. The big lift into place will occur on Saturday, April 11th and should be worth watching. The North ramp of the Lawrence footbridge. The South ramp of the Lawrence footbridge. 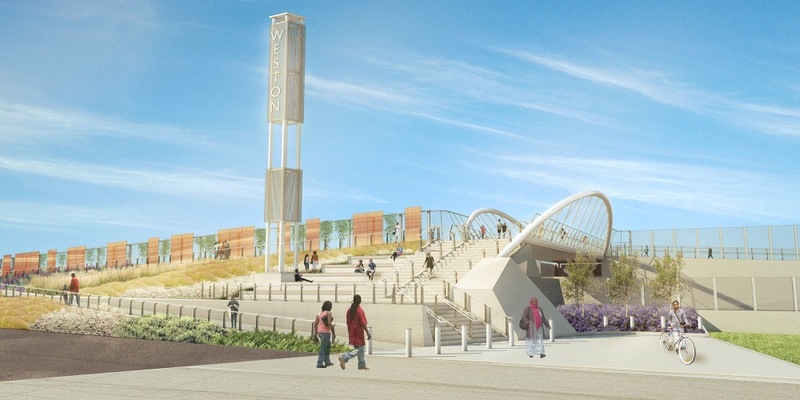 As for the John Street footbridge, this will be installed in the summer. 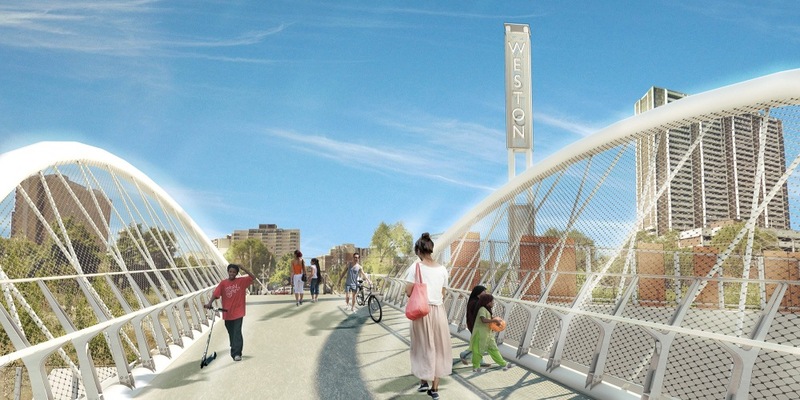 The John Street bridge deck – artist’s impression – looking towards Weston Road. The John Street Bridge – artist’s impression – looking towards Rosemount Avenue. The UP Express and GO stations are almost complete and are next to each other. Note the higher platforms for the UP Express. The new GO platforms and waiting areas. Artist’s impression of the new Weston GO Station. It has been a long haul since the airport link was first proposed. The UP Express is seen by many to be an elitist project for the rich while the transportation needs of the many are unchanged. The trains will be diesel which is a disappointment as it was hoped that the new train would provide an opportunity to electrify the line. Sadly, the much hoped for all-day electrified GO service is still a far off dream. What’s good about the changes that the UP Express is bringing? First, the good citizens of Weston showed their political muscle by arguing for and receiving one of only two stations along the route. 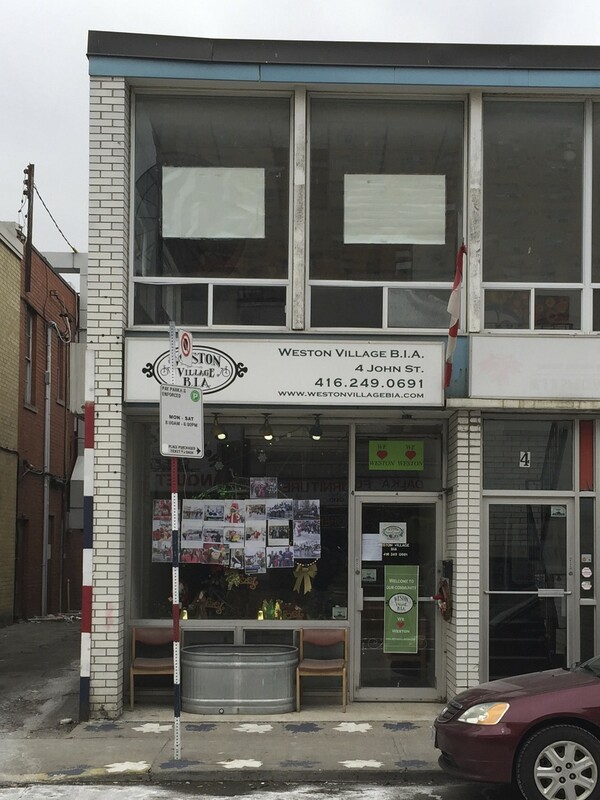 The fight galvanized the community and has ensured that Weston has a voice and can no longer be relied upon to meekly accept whatever planners and politicians decide is best for us. Second, although the GO station moved further away from many people in Weston, its replacement is modern, visible (unlike the old station) right on Main Street (Weston Road) and is a visual reminder of access to an incredibly quick ride downtown (and frequent once all day GO service is launched). As has been pointed out before, even on the currently limited GO Train service, Westonians can glide downtown in comfort in 21 or 23 minutes while commuters from the much coveted Royal York subway area have a 34-minute journey and have to change trains, battling the crowds at St George. 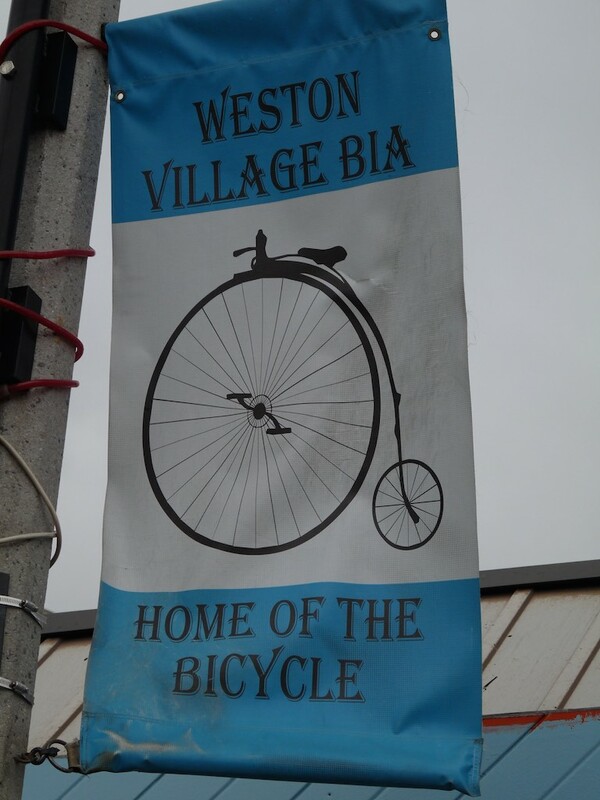 Third, the old station was hidden and the new visual reminder and the upgrading of transportation infrastructure has begun to revive interest in Weston as a place to live. 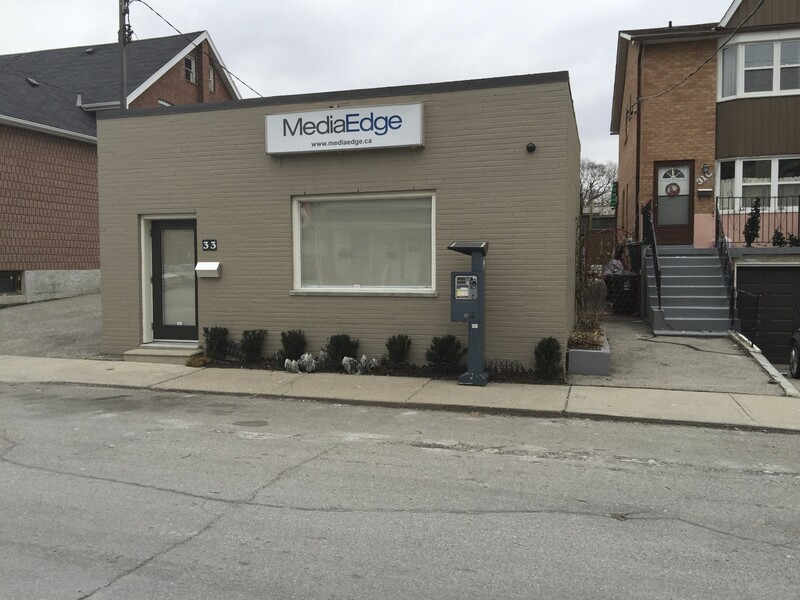 Real estate prices, once depressed are starting to recover and businesses are investing in our commercial areas. 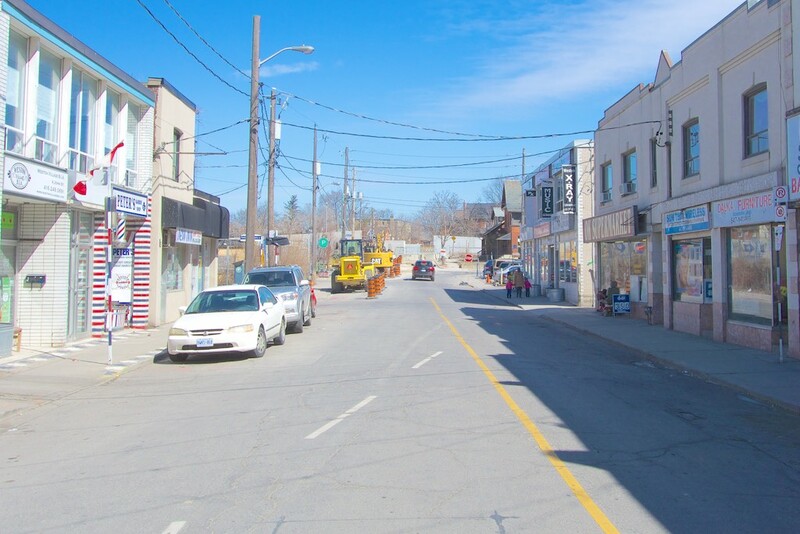 While the old GO station occupied virtually no real estate, its parking lot that doubles as the home of the Weston Farmers Market (and surrounding property) will be developed to be the focal point of an exciting ‘Community Hub‘. The lesson we have all learned is that a community has to be vigilant and fight for good infrastructure. It won’t arrive by itself. 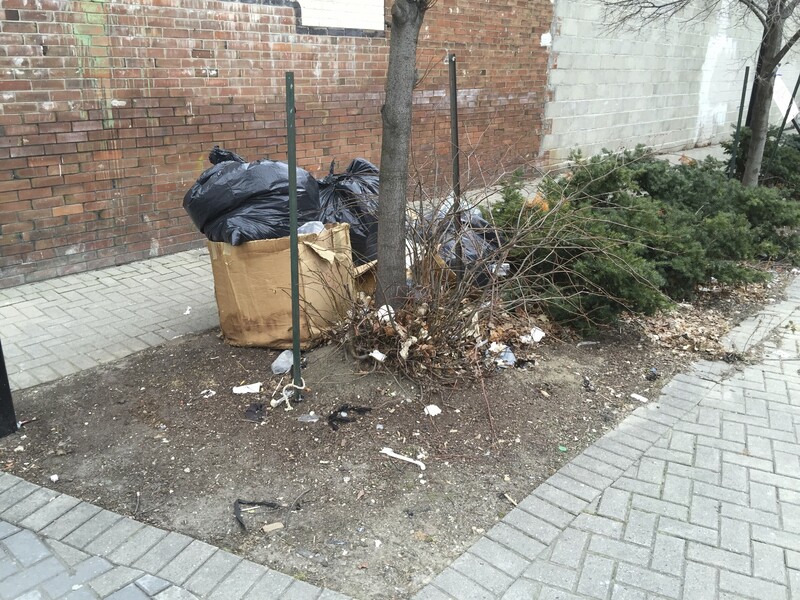 In addition, developers want to make money regardless of the social cost to the community. We need continued citizen involvement and active and responsive politicians who will represent us regardless of the cost to their career ambitions or political beliefs. We also need to believe in our own community by patronizing local business. Only then will Weston achieve its awesome potential. 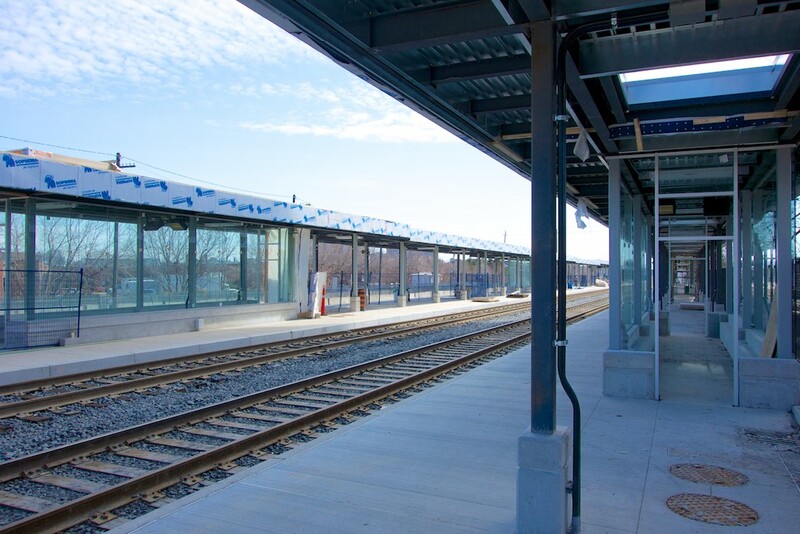 Author Roy MurrayPosted on March 30, 2015 Categories Business, Infrastructure, Metrolinx, Opinion, Transit, UP ExpressTags GO Train, TTC, UP Express, Weston Community Hub, Weston Station1 Comment on UP Express nearing completion. 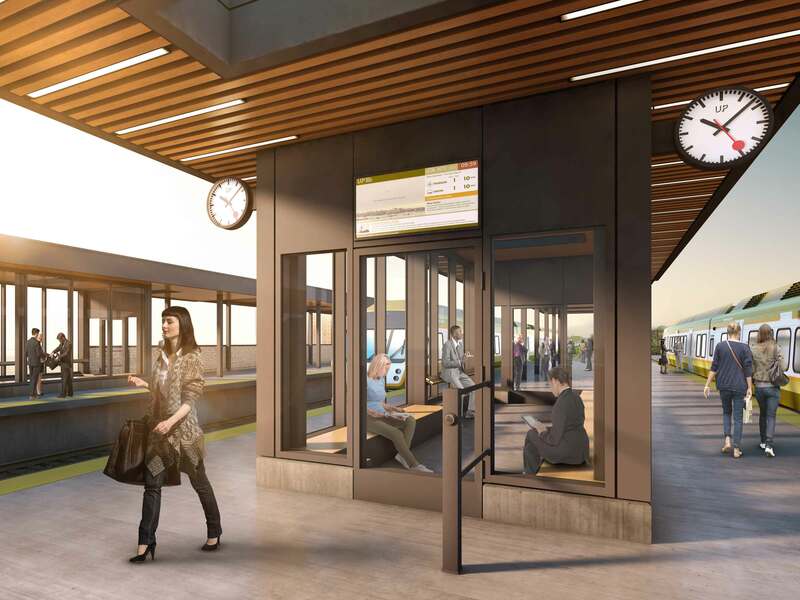 Metrolinx released few details about the timeline for electrifying the UP Express in a recent meeting—the first in more than a year—on the issue. “I know you want a time and a date and I’m not going to give it to you because I’m going to be wrong,” Pitre said, point blank. 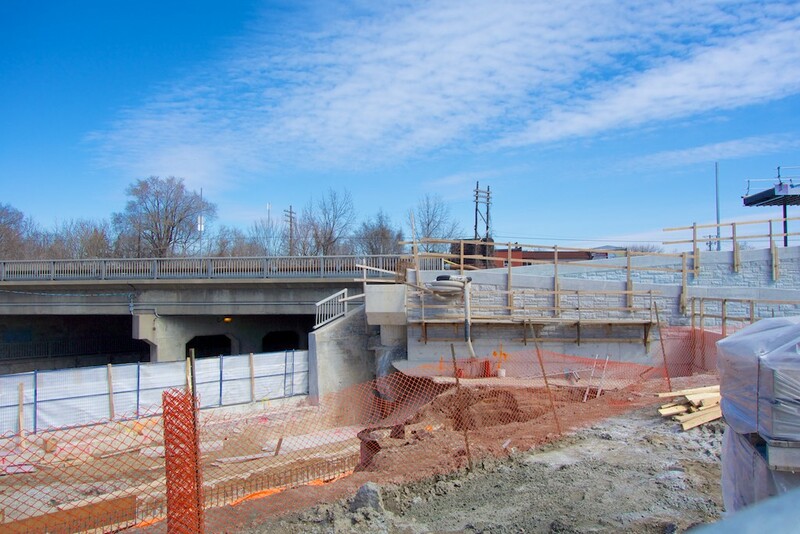 I’m writing to you today to request that you provide more details regarding your ministry’s plans for the electrification of the UP Express and the Kitchener GO Line, and an updated timeline for the completion of these projects. 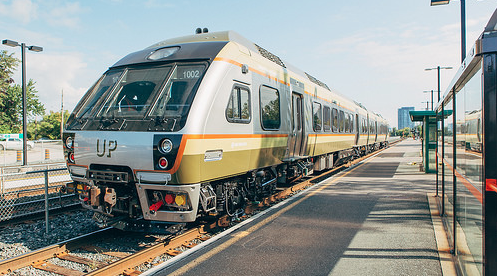 Metrolinx is hosting a public meeting about the electrification of the UP Express on Tuesday, February 24, at 7pm at the Fern Avenue Public School downtown. The UP Express has been built with diesel trains over residents’ objections, ostensibly to have it built in time for the PanAm Games this year. The Liberals have promised electrification at some time in the future. This may be our first hint at when that future will be. It is also the first time in more than a year that they have had a public meeting on the topic. Metrolinx started shopping for electric trains earlier this month. They put out the first of many feelers, but “there’s no timeline, except a vague, 10-year end-date”, according to The Star. You should RSVP to the meeting. Thanks to M for the tip. 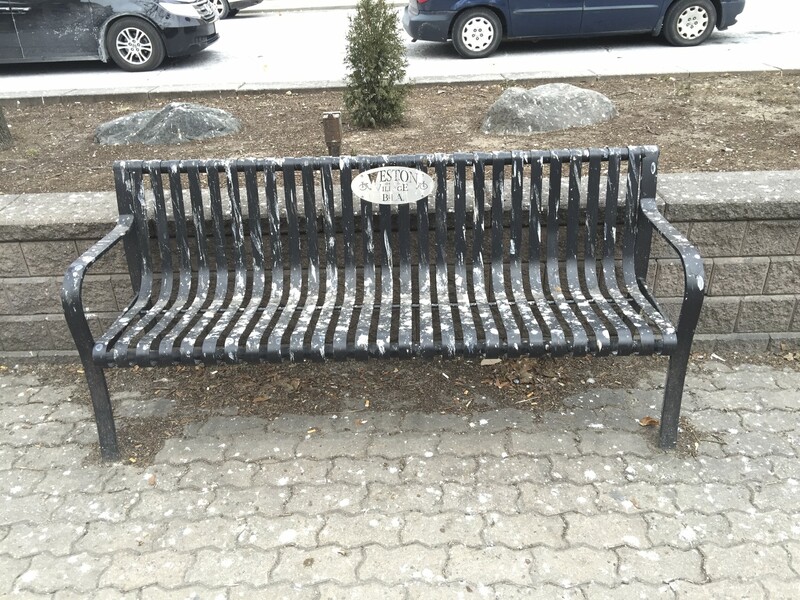 The city is soliciting designs for the art around the forthcoming John Street bridge. 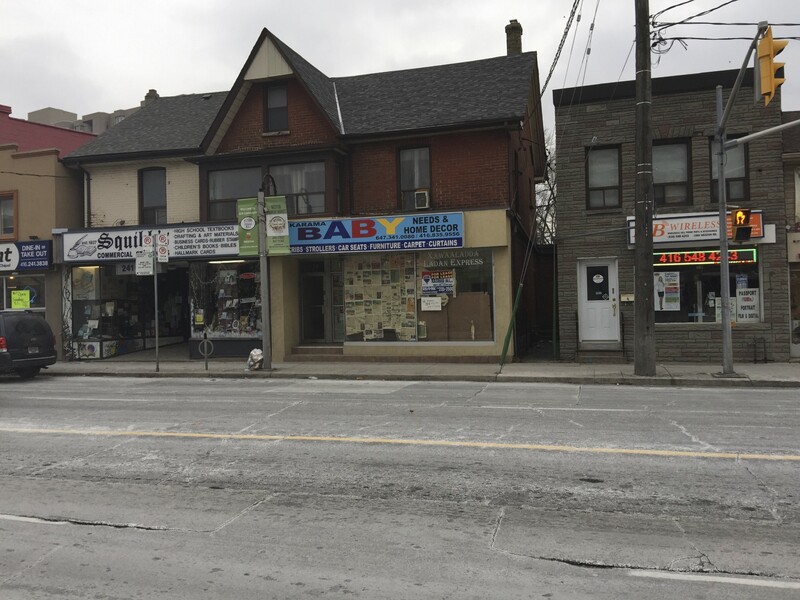 Metrolinx and StreetARToronto are asking artists to solicit ideas for a mural project that will be installed on the panels running along the accessibility ramps. The budget for the project is about $47,000, of which up to half can go to artist commissions, and the city isn’t looking for amateurs; only those with experience in similar-scale projects are invited to apply. 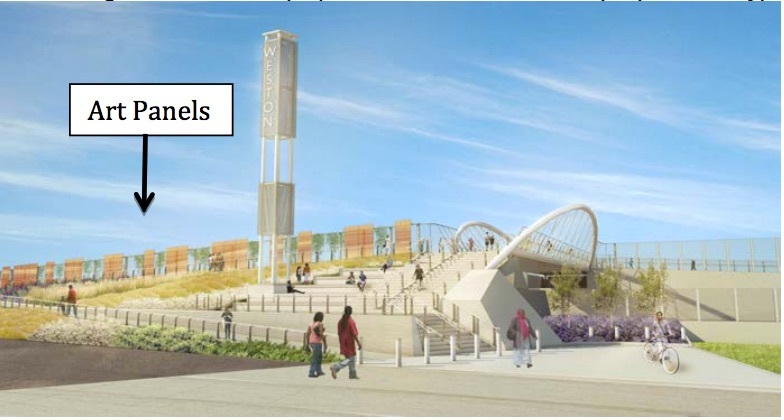 The city’s drawing of the bridge looks—at least to me—completely bizarre, like a plaza in Brasilia or a Spanish outdoor auditorium. Certainly, I know nothing about these things—but I confess to doubts about the number of people we will actually see lounging, flirting and reading on the steps in the winter or as trains go by nearby. I look forward to my error, however. The UP Express backlash backlash has started. Several supporters in the downtown media have come out in favour of the $27 fares, which were announced last week. This line was never supposed to be part of the city’s ordinary public transit network, to be used for local trips. It was designed to be like Tokyo’s Narita Express or London’s Heathrow Express, high-end rapid services with fares to match. But to say it is only for the rich and so deserves no public funding takes things too far. The standard fare for a one-way UP ride was announced this week: $27.50. That is hardly outrageous for a traveller who may have spent hundreds of dollars on a flight and $25 or more just for checked baggage.